Y’all know that soup is my favorite thing to cook. 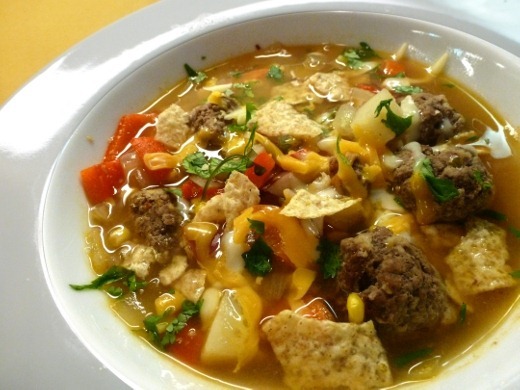 This recipe for Tortilla Meatball Soup was recently on the cover of Cooking Light magazine and I knew I had to make it. This soup was, well, fun to make. I definitely wouldn’t want to tackle this on a weeknight, but it made for a fun Sunday afternoon. 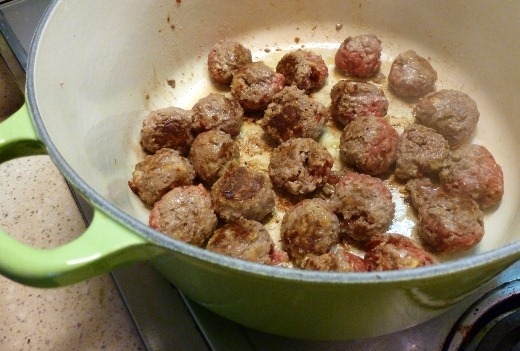 Did you know I’ve never made meatballs before? This was my first time. Aren’t they cute? Yummy soup! This recipe took many steps, but it was absolutely packed with flavor. 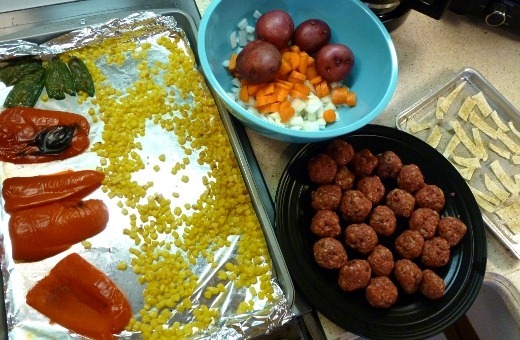 Broiled, charred veggies and chipotle in adobo sauce added a smoky flavor; jalapenos added a moderate heat; a variety of vegetables added texture and color; and the meatballs, of course, we the star! Delicious savory bites of goodness. A sprinkling of cilantro and pepper jack cheese took this soup over the top. 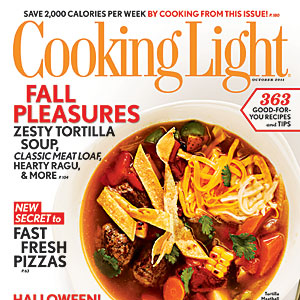 You can find this recipe for Tortilla Meatball Soup over at Cooking Light. Tonight I finished watching the movie Magnolia. Have you seen it? That ish is HEAVY, dudes. I’m still processing. Currently listening to: In The Waiting Line – Zero 7. This song came on Pandora just now, and it’s from one of my verrry favorite movies, Garden State. Shoot, I love that movie. The scene by the fireplace. ..Ooh. The scene with the rain pouring in front of the excavated pit? Swoon. Gotta watch it soon. 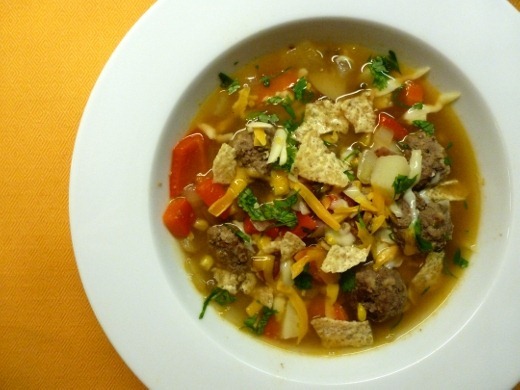 Pingback: Pasta Meatball Soup « Meg.Goes.Nom.Nom.